Welcome to VetRxDirect—the trusted online source for pet medications and supplies. We work with your vet to deliver the best quality pet medications and supplies right to your door. Using our site is easy: browse our selection of brand name products, add what you need to your shopping cart, and check out. We'll process your order and have it delivered it to your door. If you select a prescription medication, we'll ask for your veterinarian's contact information so that we can confirm the prescription with your vet. The prescription verification process may add one or two business days to the shipping time, which ensures your pet's safety and keeps your veterinarian involved in your pet's health. More questions? See the FAQs below, send us an e-mail at info@VetRxDirect.com, or call 1-866-761-6578. Why is a veterinarian-Client-Patient-Relationship (VCPR) important? Do prescription items require authorization from my veterinarian? Will VetRxDirect make recommendations or diagnoses? What are the available options and costs for shipping? What volume discounts are available at VetRxDirect? How often can I apply a coupon? How can I reach VetRxDirect? How can I tell if medications have expired? How do I properly dispose of leftover or expired medication? 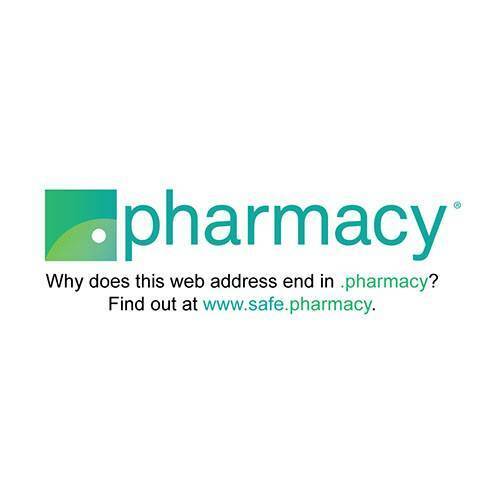 What is the .Pharmacy Website Domain Program? What are the guidelines for leaving product ratings and reviews? How do I know my pet will receive brand name medications? What is the Auto Delivery program? How do I join the Auto Delivery program? What will happen after I join the Auto Delivery program? How do I make changes to or cancel my Auto Delivery order? What is the difference between the "My Next Order' and "My Auto Delivery" tabs? What types of payment are accepted for Auto Delivery orders? How do I stop receiving texts?? What if I’m not ready to reorder? Just like at any store, you have a shopping cart, a virtual place to hold the items you want to purchase. When you find a product you want to purchase, just click on it and it will be added to your cart. Access your cart anytime by clicking “cart” in the upper right corner of your screen. You can change the contents of your cart by removing items from the cart or changing the quantity of items in the cart. When you checkout, you'll be taken to a login page where you can sign-in if you're a returning customer, or register as a guest if you're new to VetRxDirect. After you've completed the order, shipping, and payment information, you'll have a chance to review your order before submitting it. Once you submit your order we'll authorize the transaction, obtain any necessary prescriptions, finalize the transaction, and ship your product. Questions? Just send us an e-mail at info@vetrxdirect.com or call 1-866-761-6578. To place a reorder, simply follow the first few steps of the shopping cart instructions above, including adding the reorder products to your cart. When you checkout, you will be asked to log in using your previously used e-mail address and customer account password. After you log in, your address, pet, and veterinarian information will appear as the same as your previous order. Make any changes and enter your payment information. Then, continue as before to finalize the order. Your veterinarian is always your first – and best – resource regarding the health and well-being of your pet. Scheduling regular checkups with your veterinarian ensures your pet is getting the right preventative treatments and helps your veterinarian catch any health issues before they become problems. If your pet is sick, injured, or needs medical attention, your veterinarian has the experience to make a professional diagnosis, recommend treatment, and prescribe the right medication. VetRxDirect will only fill prescriptions with a valid VCPR. Your veterinarian is responsible for the diagnosis and treatment of your pet which includes prescriptions. Your veterinarian must document prescriptions and is responsible for your pet while on these prescriptions. Yes. By law – and for your pet’s safety – accredited, licensed pet pharmacies like VetRxDirect can only dispense prescription medication that is prescribed by a U.S. licensed veterinarian. That’s why we must have a prescription from your veterinarian before we can mail certain medications. Also, State and Federal laws require pet prescriptions to be faxed to our pharmacy directly from a U.S.-licensed veterinarian. We strictly adhere to these laws to protect the health and safety of the pets we serve. All prescription items are marked with Rx near the product picture or name. If VetRxDirect has a valid prescription with refills on file for the drug ordered, no additional action is needed. Your order will be shipped using the method you select at checkout. Otherwise, VetRxDirect will fax a prescription request form to your veterinarian for security, accuracy, and your convenience. Your order will be processed when a valid prescription is on file at VetRxDirect. No. The information you read on VetRxDirect should not be taken as actual veterinary advice. If you have actual pet health questions about actual veterinary things, your pet should see an actual veterinarian. Even though we have a veterinarian on staff, he is not your pet’s actual veterinarian so please be sensible. Please visit this American Veterinary Medical Association (AVMA) website to learn important information about selecting a local veterinarian for your pet. Your items will be sent via the shipping option you requested during checkout. The veterinarian authorization process may add 1-2 business days to order processing time on invoices that include prescription items. To check your order status, click on the “order status” link at the top of our website and sign in to your account. To track your order, click the link provided in your ship notification e-mail. Check the tracking information to see if the package has been delivered. Check all entrances to your home for the package. Check with your neighbors, as packages are sometimes left on their property. If there is no tracking information, or you cannot locate the package, please e-mail our customer service team at info@vetrxdirect.com or call 1-866-761-6578. We're proud to offer fast, FREE* shipping on almost all orders over $49. **Standard time-in-transit reflects our guarantee. Average time to delivery is usually much faster. **Time-in-transit (Business Day) does NOT include Saturdays, Sundays, and Holidays. *Certain oversized, heavy items, and aerosols do not qualify for free shipping and display "Not Eligible for Free Shipping" under the product image on their product page. Other items incur weight based, dimensional, and/or additional packaging charges. Orders are delivered to both P.O. Boxes and street addresses. Please include your P.O. Box and street address during checkout whenever applicable. We reserve the right to refuse P.O. Box shipping addresses for any reason. Not all addresses qualify for Next Day with Saturday Delivery. Customers will be notified and billing will be adjusted if delivery is not possible on Saturday. **Shipping time-in-transit estimates are from the time of veterinarian authorization on orders that include prescription item(s). Refrigerated items do not qualify for free shipping and can only be shipped Next Day Service, Monday through Thursdays which precedes a business day. **Please add 1-2 business days to transit times for compounded items as these medications must be made to order. **Please add 1-2 business days to transit times for packages weighing three pounds or more. VetRxDirect is unable to ship on Saturdays, Sundays, and Holidays. We apologize for any inconvenience. VetRxDirect chooses between major carriers (UPS / USPS / FedEx) for economy, ground, and 2nd business day shipments. We try to choose the carrier that will get your product to you as quickly as possible at the most affordable rate. Unfortunately, there is no guarantee which service is used until after shipment. To help keep shipping costs down and to continue to offer a free shipping option, VetRxDirect is unable to split ship orders. Your ship notification e-mail will state which service was used for your order. VetRxDirect is unable to ship aerosols by air, outside of the contiguous United States, to P.O. Boxes, or to APO/FPO addresses. VetRxDirect does not ship outside of the United States. VetRxDirect will not be liable for, nor shall any adjustment, refund, or credit of any kind be made as a result of any extreme temperature exposure after the point of delivery. During periods of excessive heat or cold, please consider changing your shipping address to have orders delivered to controlled environments where a person can take possession of the package and refrigerate if necessary. VetRxDirect will not be liable for, nor shall any adjustment, refund, or credit of any kind be made as a result of any delivery delays due to weather conditions (as determined by the third party carrier). What is VetRxDirect's Holiday Shipping Schedule? Our office will be closed December 25th and January 1st. We will have abbreviated office hours on December 24th and 31st. Please expect longer times-in-transit until after the holidays. Additionally, some products (including refrigerated items) will experience delays as we are only able to ship these products when subsequent days are valid delivery dates. Stock up and save! The more you buy, the more savings we pass on to you. Use the following table to calculate your savings! Coupon Code must be entered in the coupon field during checkout. Consider ordering a full year supply of heartworm or flea medicines or other long-term use medication. The appropriate coupon code must be entered on the last page of the checkout. Free Shipping option still available with most products! All discounts are valid for online orders only. Cannot be used for telephone orders. Authorized VetRxDirect coupons are valid one-time and for online orders only. This excludes the above volume discounts which can be used on multiple qualifying orders, but like all coupons and discounts, only one code can be used per invoice. All coupons and discounts expire in seven days unless otherwise noted. When you place an order with VetRxDirect, we place a pre-authorization charge on your credit card to verify the name, address, and card information to ensure your identity and reduce fraud. If you have questions relating to your credit card charge or our billing process, please e-mail our service team at customerservice@vetrxdirect.com or call 1-866-761-6578. You can cancel any order at any time for any reason, as long as the package has not been shipped. To cancel an order, have your e-mailed receipt ready and call or e-mail us at customerservice@vetrxdirect.com. Your credit card pre-authorization will be voided at the time of order cancellation. Please allow up to 7 business days for the voided transaction to be finalized. A 10% restocking fee applies to canceled orders that have already been processed. Security is a top priority at VetRxDirect. When you provide sensitive information, we protect it using encryption software that ensures your transaction is safe and secure. Visit Privacy at VetRxDirect to learn more. All of our employees are kept up to date on our security and privacy policies, and make sure they are enforced. Questions? Concerns? Contact us via e-mail at customerservice@vetrxdirect.com or call us at 1-866-761-6578. Check for an expiration date printed on the bottle or box by the manufacturer. This date is usually printed near the lot number of the product. Check for an expiration date printed on the pharmacy’s label. Use the general rule that most prescriptions expire one year from the date it’s filled. Speak with your pharmacist or veterinarian if you have any questions about the safety of the medication. If the validity of any medication is in question for any reason, properly dispose of the product rather than risking the safety of your pet. How do I properly dispose of leftover, damaged, unusable or expired medication? Check with your local solid waste authority for advice. Your local solid waste authority may or may not have a hazardous waste disposal service for old medications. Otherwise, speak to a pharmacy or veterinary clinic for the best way to dispose of medications in your area. Many pharmacies and veterinary clinics will accept expired or leftover medications and dispose of them properly for you. VetRxDirect will properly dispose of any medications purchased from our pharmacy. Please call or e-mail our pharmacy for proper shipping instructions. The NABP started the .pharmacy domain to create a list of safe and legitimate pharmacies where consumers can be confident when purchasing medication or obtaining information. NABP launched the .Pharmacy Verified Website Program because verifications and logos, including Vet-VIPPS, aren’t enough anymore. Program seals of approval are copied and placed on illegal online pharmacies selling substandard or counterfeit medications. VetRxDirect customers can help other pet parents make better purchasing decisions by rating products and leaving product reviews. The rating scores and review summaries, along with the expert recommendations from their pet's veterinarian, are one tool pet parents can use to help determine the value and quality of the products available at our pharmacy. Product ratings and reviews also help VetRxDirect make better decisions when updating our inventories and availability of products. Overall Rating: Rate your overall experience with the product from poor to excellent. Met Expectations: In the free-form box under 'Review', please let us know if the product met your expectations including specific information about what you liked and didn't like. Quality: Rate the quality of the product from poor to excellent. Value: Rate the value of the product from poor to excellent. Recommend our Pharmacy: Rate your likelihood of recommending VetRxDirect from Never to Definitely. Don't include recommendations on prescription drugs and devices. Don't make claims on prescription drugs and devices. The rating contains a recommendation of any prescription drug or device. 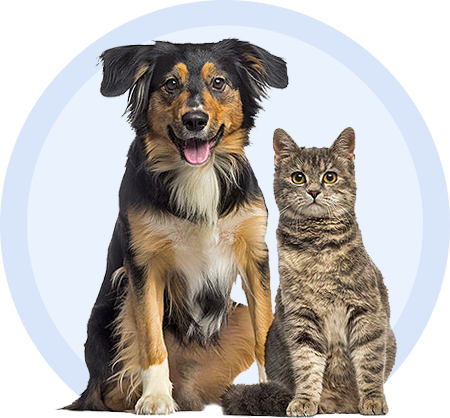 VetRxDirect sells and ships brand name pet prescription drugs, pet over-the-counter medications, and pet devices as described by content and images on our product pages. Occasionally a product's manufacturer, label, and/or ingredient list can change before we have a chance to update our product pages. Human-labeled generic drugs for extra-label use in pets are sold and shipped generically unless brand is specifically requested by your pet's veterinarian. Product page content and images are for representation only in these cases. Manufacturer of generic drugs depends on availability at time of shipment. Replacements are made with the same generic drug, following all pharmacy laws. VetRxDirect's Auto Delivery program is the most convenient way for you to get your pet's OTC products you want to be delivered on a regular schedule. We automatically send your favorite products based on your chosen frequency. The service is easy to use and customizable, so you can make changes online whenever you need. Just tell us how often you want your products, and we'll take it from there. You will receive a 5% discount on Auto Delivery orders! You always have complete control over your Auto Delivery orders and we send an email reminder 10 days before each order ships. You can change your delivery frequency, next order date, or quantity anytime by visiting "My Auto Delivery" section located within your account. Changes to orders can be made anytime within 24 hours of the next scheduled shipment date and you can cancel at any time. Joining the Auto Delivery program is easy; it can be done while browsing on a product page or while reviewing items in the shopping cart. To subscribe, simply select the Auto-Delivery option for your desired product, select your preferred shipment frequency and then check out as normal. After you join the Auto-Delivery program, you will receive an email confirming your subscription. This email will include a link to access the "My Auto Delivery" section in your account where you can manage your future orders, Auto Delivery items, and Auto-Delivery account information. Once you"ve joined, Auto-Delivery is easy to manage. You can change your next order date, skip an order, change your selected frequency, or cancel a subscription by visiting the "My Auto Delivery" section in your account. Please allow up to 24 hours for modifications or cancellations to be processed. To change your next order date, please visit the "My Next Order" tab within "Manage Subscriptions" and click the "Change Date" button to the right of the next order date then select a new date for your order. This will change the order date of the entire order. If an Auto-Delivery order contains multiple items and you would only like to change the order date of a single item, please visit the "My Subscriptions" tab and identify the individual item you would like to modify. Please click the "Edit" link to the right of the subscription details and click the "Change Order Date" button. To skip a subscription order, visit the "My Next Order" tab within "Manage Subscriptions" and click the "Skip Delivery" button to the right of the upcoming order date dropdown to skip the entire order. To modify the delivery frequency for a subscription item, please visit the "My Subscriptions: tab within "Manage Subscriptions". On this tab, the current delivery frequency is displayed next to each subscription item in a drop-down menu. To change the delivery frequency for an individual subscription item, simply click the frequency drop-down next to the subscription item you would like to modify and select your next desired frequency from the drop-down menu. To cancel a subscription item, please visit the "My Auto Delivery" tab within "Manage Subscriptions" and simply click the "Edit" link to the right of the subscription details and click the "Pause Auto Delivery" button. Click "No thanks, cancel my subscription". You"ll be prompted to confirm this action and indicate your reason for canceling. Once you've selected a cancel reason and clicked the "Deactivate" button, your subscription will be canceled and no future orders for that Auto Delivery will be placed. You will receive an email notification confirming this action. To review or modify your Auto-Delivery account information, visit "Manage Subscriptions" located within your account. You can change your shipping address for an individual order or at the subscription item level, which is the default option and will affect all future orders. To change your shipping address for an order, please visit the "My Next Order" tab and click the "Edit" link located directly to the right of the current shipping information. Select a previous shipping address from the drop-down menu or create a new one to add to your account. This address will apply to all subscriptions and future orders unless otherwise noted. To change your shipping address for a subscription, please visit the "My Subscriptions" tab, click the "Edit" link to the right of the subscription details and then click the "Change Address" button. Changes made to your Auto-Delivery subscription information will NOT change or be reflected in your VetRxDirect account. What is the difference between the "My Next Order" and "My Auto Delivery" tabs? The "My Next Order" tab shows the details for your next scheduled order. An order may contain more than one individual item scheduled for [Auto Delivery] if the items have the same order date, shipping address, billing address, and payment information. The "My Auto Delivery" tab displays individual subscription items and all associated details for each individual subscription including next order date, quantity, delivery frequency and shipping address. You can view your future orders in the "My Next Order" tab in the "Manage Subscriptions" section of your account. Your very next scheduled order will be displayed. To see additional deliveries, click on the down arrow next to the next scheduled order date below "View Upcoming Orders". Auto Delivery items that have the same order date, shipping address, billing address and payment method will ship as one order. If you have more than one Auto Delivery item and want the items to ship in the same order, simply visit the "My Auto Delivery" tab in the "Manage Subscriptions" section of your account and change the next order dates to be the same. Also, confirm the orders are going to the same shipping address and have the same billing address and payment method. Yes! To do so, you must be logged into your account. Visit your "Recent Products Ordered" page and click the "Add this Item" button under the product you wish to add to your upcoming order. When you click this button, you will have the option to add the item as one time only or as a subscription. You can also find these instructions in the "My Next Order" tab in the "Manage Subscriptions" section of your account. Only OTC products are eligible for Auto Ship at this time. What types of payment are accepted for Auto Delivery? All Auto Delivery subscriptions require a credit or debit card payment. Alternative payment forms, such as PayPal, cannot be accepted. When you check out, click the checkbox pictured below. It’s a one-time enrollment so you will receive texts for any of your past or future purchases. Once you opt-in, you’re in! If you ever decide that you no longer want to receive texts, you can reply to any of our texts with the word STOP alone and we will not send you texts anymore. You can always respond with a “RemindMe” and ask us to send you a reminder whenever you’d like.